Less than a week after Russia’s Foreign Minister Sergey Lavrov warned that NATO's military build-up near Russian borders is «counterproductive and dangerous», the United States is ramping up the deployment of heavy weapons and armored vehicles to NATO member countries in Central and Eastern Europe. A statement from the White House said, expanded European operations will provide «continuous US armored brigade rotations» and «enable a quicker and more robust response in support of NATO’s common defense». The administration said on February 2 it wants to quadruple military spending in Europe. It is proposing more than $3.4 billion in military spending in the region next year – far more than the $786 million in the current budget – and will position new equipment and have a full armored combat brigade (between 3,000 to 5,000 soldiers). The plans also include placing stocks of well-maintained gear and ammunition in forward locations across NATO's eastern flank on a rotating basis, at all times. Hungary, Romania and the Baltic states are among the countries where the equipment and additional forces could be deployed. «We’re going to have to help countries to harden themselves against Russian influence… and also mount – as we did in decades past – staunch defense of our NATO allies», Defense Secretary Ash Carter explained. The proposed budget increase includes a $1.8bn outlay on 45,000 GPS-guided smart bombs and laser-guided rockets to boost the forces precision strike capability. Estonia, Latvia and Lithuania asked for a big statement of American military support at the NATO defense meeting held this January. The US already has 65,000 troops in Europe and has been stockpiling resources in Eastern Europe and the Baltic region for more than a year. Warsaw has called for a permanent NATO troop presence in the country. For one, it wants more: permanent US bases hosting up to 5,000 troops each, as in the former West Germany during the Cold War. President Andrzej Duda has said, he will use the upcoming NATO summit in July to make this issue top the agenda. The US Department of Defense announced in November 2015 that equipment from the European Activity Set (EAS) was scheduled to be delivered to Central and Eastern Europe. The EAS is comprised of a combat brigade worth of prepositioned equipment, including 250 tanks, infantry fighting vehicles and self-propelled howitzers staged at EAS sites in Mannheim and Grafenwoehr (both located in Germany). This equipment is drawn by rotational forces such as the 1st Brigade Combat Team, 3rd Infantry Division, which will then use it for training exercises with NATO and other partner nations. Bulgaria, Estonia, Latvia, Lithuania, Poland and Romania agreed to host company to battalion-sized elements of EAS equipment. Germany already hosts it. «We will continue to step up our exercises this year», said NATO Secretary General Jens Stoltenberg in the Annual Report he delivered a few days ago. «We have visibly increased NATO’s presence in the eastern part of our Alliance. And to the south, we have agreed to increase the presence of AWACS early warning aircraft over Turkey, as we continue to augment Turkey’s air defenses», the Secretary reported. 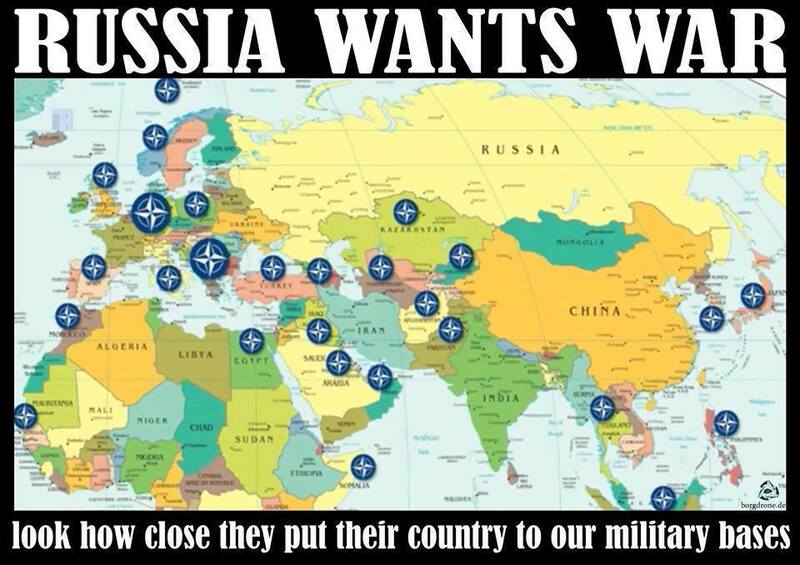 «We have tripled the size of the NATO Response Force to more than 40,000 troops. And at its core is our new, very high readiness ‘Spearhead Force’. That is now operational», he added. Meanwhile, Romania over the weekend announced its desire to station a permanent alliance fleet –including ships from Bulgaria, Romania, Turkey, Germany, Italy, and the US – in the Black Sea to counter what they see as Russia's rising involvement in the region. While the increase in funding for Europe is significant, the administration is proposing that the money come from a separate war-funding account that is meant to pay for operations in the conflicts in Iraq and Syria, as well as continued American military presence in Afghanistan. That means it is a one-time request, not necessarily a continuing commitment built in to budget requests beyond 2017. This budget workaround leaves the decision on what to do about the future military spending in Europe for the next administration. Not everyone in Europe will be happy about a larger US military presence. Take for instance the Czech Republic, where the President of the country enjoys wide public support. He has called many times for better relations with Moscow. 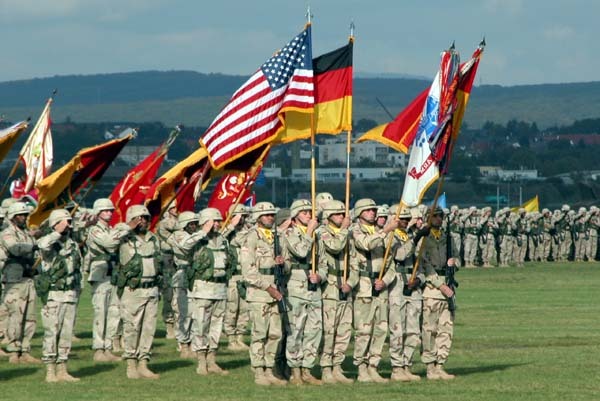 In 2014, 74% of Germans opposed the idea of larger US military presence in Europe. Back then, the prime ministers of Slovakia and the Czech Republic also expressed their opposition to the increased presence. It’s too early to say how European nations will react to the plans, but somehow, the mass public protests in the 1980s against the presence of intermediate range missiles spring to mind. Few people want to become a target for a retaliatory response. It should be noted that the US plans are announced against the background of the statement on the conflict in Ukraine made by Zeid Ra'ad Al Hussein, the United Nations High Commissioner for Human Rights, saying there has been a «sharp de-escalation of hostilities» since August. The Russian Embassy in Washington criticized the Obama administration for its new plans on the very same day the announcement was made. «Moscow condemns the US for the promotion of weapons in Eastern Europe», says the headline of the statement published by Foreign Policy magazine. The Russian Embassy called the announcement an attempt to «escalate tensions without obvious reasons» and said it violated the NATO-Russia Founding Act of 1997, which included an agreement that both sides would not station substantial combat forces on a permanent basis in the countries that joined the alliance. «In our view, these steps of the USA and NATO are destabilizing European security and cause it damage», it states. «There should be no doubt that Russia will in all circumstances be able to protect its citizens and national security interests». Indeed, one does not have to be a military expert to realize that stationing forces abroad under the pretext of holding exercises cannot be done on a non-rotational basis. Any unit has an operational cycle, and any combat formation goes through exercises. The announced plans are nothing else but a permanent military presence of substantial forces. The talks about rotational basis do not change this fact. Actually, this is a declaration of the plans to withdraw from the Act, leaving the Russia-NATO military relationship without a legal basis to go upon. In case the Founding Act between Russia and NATO is cancelled, only some minor agreements will remain, some of which were signed during the Soviet Union era. They could hardly play any significant role in regulating relations between Moscow and the alliance. The document has played a very important role for the relationship during 19 years. Willy-nilly, Russia will have to deploy additional military aircraft and Iskander missile systems closer to the border. It would not breach any agreement if the Iskander missiles had nuclear warheads. Will it enhance the security of Western Europe? The US has taken a game changing decision with very serious implications to follow. It will greatly reduce European security and provoke an arms race with unpredictable results. There is still time to oppose the scenario. The interests of US administration do not always meet the interests of common Europeans who can raise voices and express their security concerns to influence the agenda of the next NATO summit which will be taking place this July in Warsaw, Poland. They can do it before it is too late to avoid the quagmire of heightened tensions and arms race.